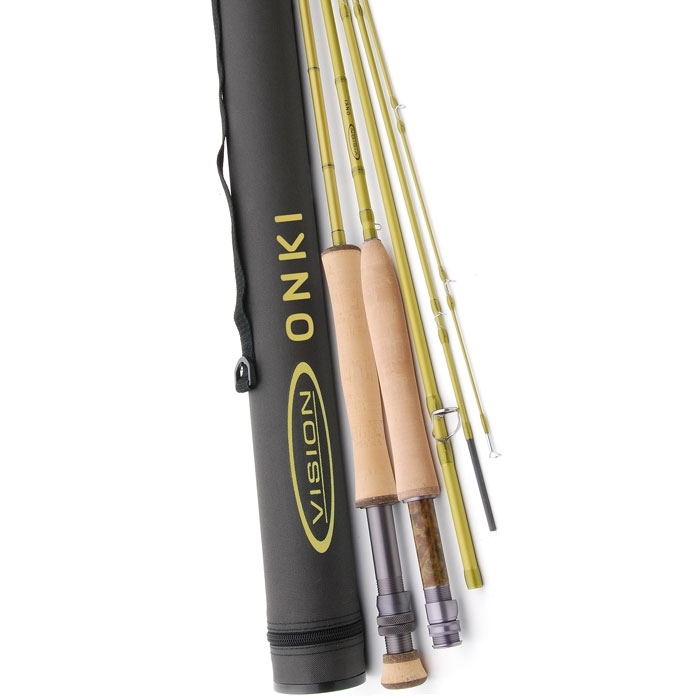 Vision 4 Piece Onki Fly Rod - 9ft. 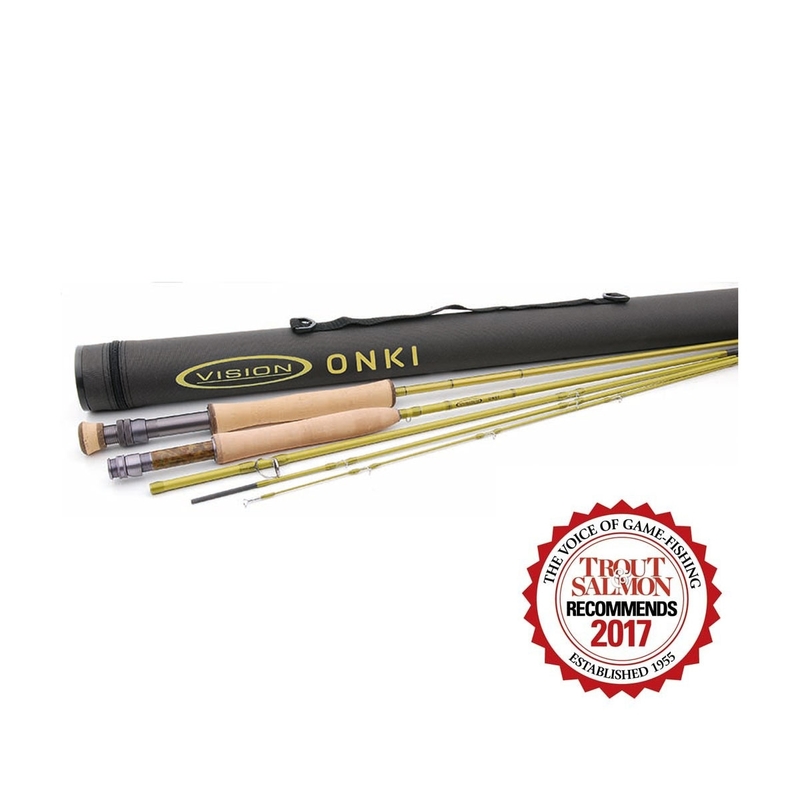 Our new full-scale rod series Onki (rod&line in English) consists of 11 carefully created medium-fast rod models to cover most of the situations anglers face when fishing for normal freshwater species on creeks, rivers and on various stillwater/reservoir destinations. Based on our long history with true classics like the 3Zone and the Nite/Nite Catapult, these four piece Korean made high quality rods have green olive blanks with graphite grey screen markings. 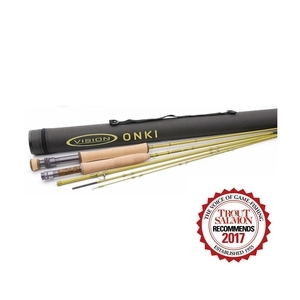 The quality of high-modulus Korean graphite (40 tn) is something you normally find only in more expensive rods and it enabled us to create a very light and sensitive rod. The rest of the components are of great quality as well. For example the handles have narrow rubber/cork reinforcements to make them more durable. 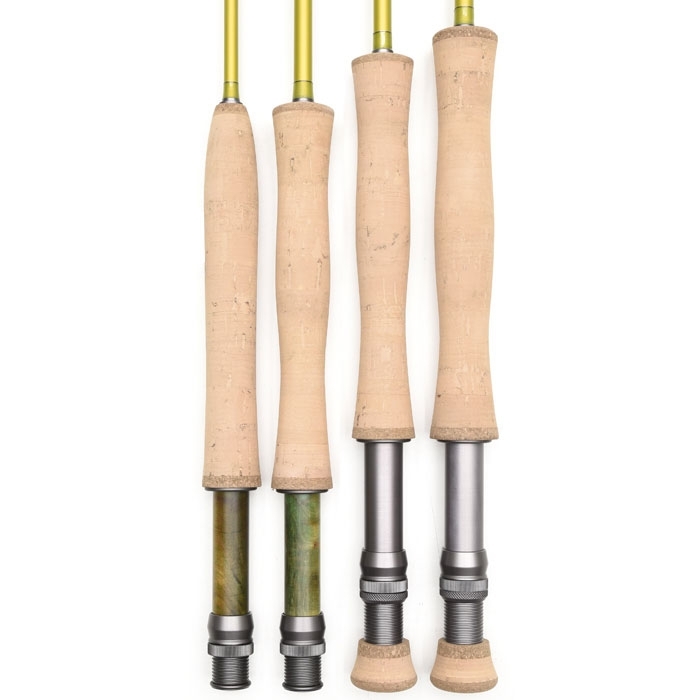 With these rods your money is truly well spent. Great rod nice and light but powerful. Only criticism is no lineup dots on sections and no hook holder near the handle. Quality fly rod with a great action which suits my casting style. Rated at 5 which is bang on. Loads well with both weight forward floating large belly fly lines and Micro Skagit lines alike. With sinking lines I personally struggled a wee bit and found I have to strip in a lot of line prior to recasting then again who would want to try a recast a sinking line without fist stripping line back in. Cracking product highly recommended.